The GIF that can help manage your anxiety. The moving image that can help manage your anxiety. Now, this trick to help you deal with anxiety isn’t exactly a new one. In fact, it’s been around for a couple of years, but for many of us who have been too involved with, you know, stressing the hell out, we may very well have missed it. To put it simply, it’s a tool to help you with anxiety. And it’s dead easy to do. Watch Mia Freedman talk about how she handles her anxiety below. Post continues after video. Now, it’s only a little thing, but it might be something that makes all the difference between having a good day and an awful one. And for those of us who struggle with anxiety, it’s a tool that can apparently not only quiet stress, but also promote happiness. It comes in the form of a gif (basically a moving picture). Along with watching the gif, you should also breathe to the rhythm of the gif’s movement. 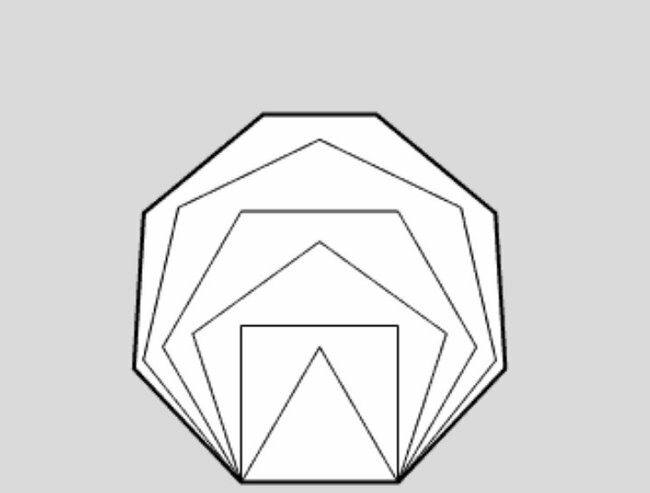 Sure, the image - which begins as a simple line which quickly unfolds into a triangle, then a square, and finally ends its series of patterns as a full-fledged octagon before returning to its original form - isn’t a cure-all, but if it helps those faced with stress or anxiety to overcome an attack, it&apos;s worth trying. And as AnxietyBC notes, "calm breathing, or the method of slow breathing with a focus on expanding and contracting the diaphragm, is a common tool many people with anxiety use throughout the day to relieve themselves from the discomfort brought on by anxiety." So what’s the worst that can happen? Give it a go.